Reveal set for July 23. 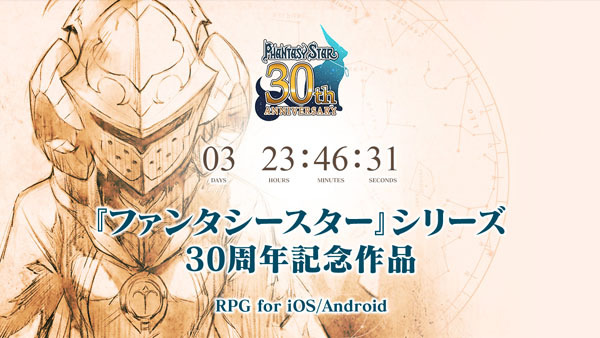 Sega has launched a countdown website for a Phantasy Star series 30th anniversary RPG for iOS and Android devices. The title will be officially announced on July 23 at 8:00 p.m. PT / 11:00 p.m. ET.